This comparison of the boards after the mold inhibitor study shows the variance in outcomes of the different treatments. Mold may not look nice, but in reality it doesn’t have an impact on most goods shipped by pallet; the product packaging shields them from direct contact with the fungus. But we’re finding that more of our customers today need or prefer pallets that have been treated to boost their mold-resistance. We want to be sure we’re using the best treatments, so PalletOne’s corporate team in Bartow recently conducted a test of four different mold-inhibiting fungicides –Borate, DDAC, Chlortram, and PQ-80 (which we currently use when customers request a mold inhibitor). We tried out both different strengths and different combinations of the four chemicals. The test team set up a warm, moist “mold growth chamber.” For each chemical solution they submerged 20 sample boards for one minute, then stacked and covered them with black plastic. There was also a control stack of boards that was dipped only in water. To ensure unbiased results, the research team didn’t know until the test was completed which chemical solution was used for each board stack. The team measured mold growth twice, once after the damp boards had been in the test chamber for two weeks and again at five and a half weeks. 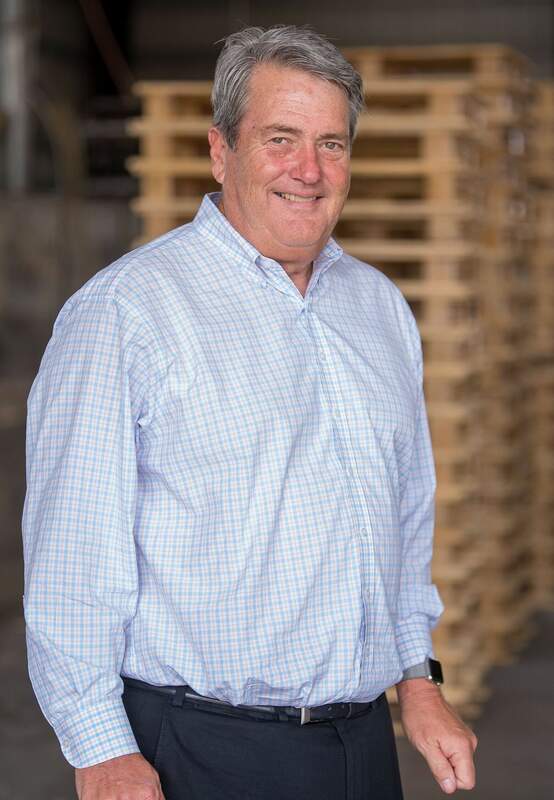 We used that time period because it’s typical of the time it takes for a pallet to go from the manufacturing process at our plant to loading and shipping out at our customers’ facilities. 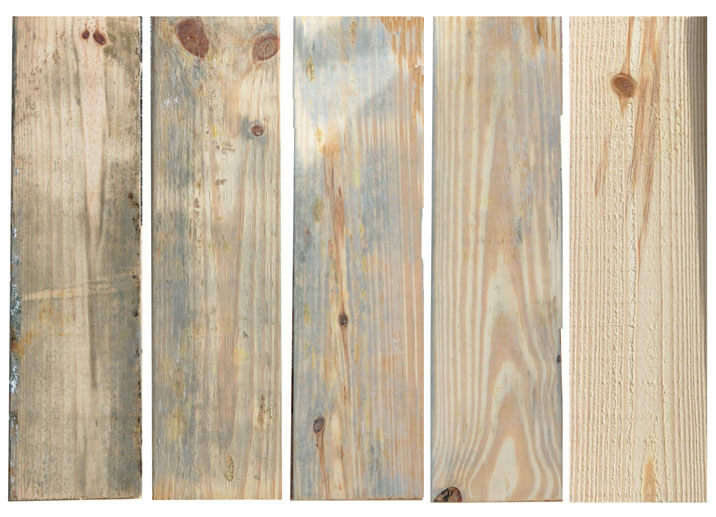 The researchers categorized the mold growth on the boards as trace, minimal, moderate or severe. The experiment showed that neither DDAC or Borate were effective in preventing mold, since the boards treated with those solutions showed severe fungus growth after just two weeks. Chlortram and PQ-80 worked equally well, but the concentration of the chemical was really important. At a concentration of 1:150 PQ-80 did a great job, and the pallets showed only minimal mold growth even after five and a half weeks. But at a concentration of 1:200, PQ-80 showed severe mold growth during that same period. Although we didn’t uncover any breakthrough treatments, it was good to know that what we’re currently using–PQ-80– is effective. “We didn’t start out trying to prove it was the best. But the test was a good confirmation that what we’re doing is the right answer,” said Wibke Duvall, who led our mold prevention research efforts. Pallets treated with PQ-80 are an excellent choice for our food and pharmaceutical customers, who are required to use mold-free pallets. The FDA has approved PQ-80 for wood packaging that has direct contact with food (like boxes for melons). What can be confusing, however, is that we can’t say our PQ-80 pallets are FDA-approved. That’s simply because the FDA doesn’t regulate pallets, so they don’t have the authority to put their stamp of approval on them. If the FDA approves wood treated with this fungicide for direct contact with food, however, it seems pretty safe (and logical) to say that using wood treated with PQ-80 is safe for the kind of indirect contact that packaged food and pharmaceuticals would have with a pallet. Although PalletOne is currently using a pretty good solution for mold prevention, we’re not going to stop there. We’re looking at how the other effective fungicide, Chlortram, might help our pallet customers. Wibke Duvall also hopes to conduct tests with other types and combinations of fungicides to see if they could be even more effective. In the meantime, if you have questions about preventing the growth of mold on your pallets, give us a call. Your PalletOne representative can talk to you about options and suggest changes in your operations that could help keep your pallets mold free. It’s a good thing that you addressed this issue for wooden pallets. I ordered a shipment of pallets a couple of days ago. They seemed fine at first, but now they have mold on them. It’s good to know that DDAC treatments don’t usually work to prevent mold growth. I’ve thought about using that on my pallets, so now I know to use PQ-80 instead, since that’s what’s worked best for you in this study. I use pallets for a lot of home made furniture projects. I usually just end up sanding any mold off. However, it is interesting to know that it can be avoided completely through these methods. Thanks for the information!